This novella won't take you long to read, but it will stick with you. It's the kick to jolt you out of a reading slump. Joe extracts kidnaped girls from dangerous situations, but when one job gets messy, the violence of his work threatens to spill into his carefully guarded personal life. The writing is intensely physical, gritty, and concise without being too spare. Nothing is wasted here. Now a major motion picture starring Joaquin Phoenix, You Were Never Really Here is a gritty, harrowing story of corruption and one man's violent quest for vengeance. When he's hired to save the daughter of a corrupt New York senator held captive at a Manhattan brothel, he stumbles into a dangerous web of conspiracy, and he pays the price. As Joe's small web of associates are picked off one by one, he realizes that he has no choice but to take the fight to the men who want him dead. Jonathan Ames is the author of the novels I Pass Like Night, The Extra Man, Wake Up, Sir!, the graphic novel The Alcoholic (illustrated by Dean Haspiel), the novella You Were Never Really Here, and the essay collections What's Not to Love?, My Less Than Secret Life, I Love You More Than You Know, and The Double Life Is Twice as Good. He is the editor of Sexual Metamorphosis: An Anthology of Transsexual Memoirs and has been awarded a Guggenheim Fellowship. He is also the creator of two television shows: the HBO series Bored to Death and the STARZ series Blunt Talk. 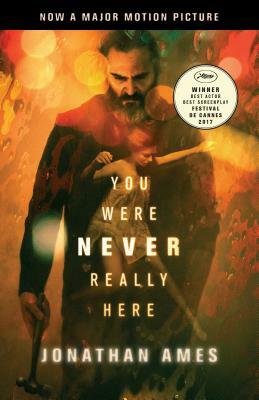 His novel The Extra Man was made into a film starring Kevin Kline, and You Were Never Really Here has also been adapted for the screen, starring Joaquin Phoenix. "Ames is an adept purveyor of the very noir, particular scenes of violence. He achieves more in less than 100 pages than most crime novels three times the length do"
"A striking and powerful noir debut that can be consumed in a single sitting. . . . Ames reveals himself here as a stylish thriller writer"
"[A] fast-moving, agreeably violent and perfectly pared-down novella"